Grab the tissue box because these songs will make you cry your heart out! Before I became a mother, Mami would always tell me, “Hija eres, y madre serás” meaning that “you’re a daughter and one day you’ll become a mother” and only then will you understand motherhood. So true, you never really understand your mother, until you become a mother yourself. Marco Antonio Solís love song to his mother will have your own Mamá crying too! Puerto Rican Salsa Singer Victor Manuelle kills it with this song! Seriously, I cried throughout the whole song. Ugh! I’m balling with Isabel Pantoja’s melodic song dedicated to her Mom. 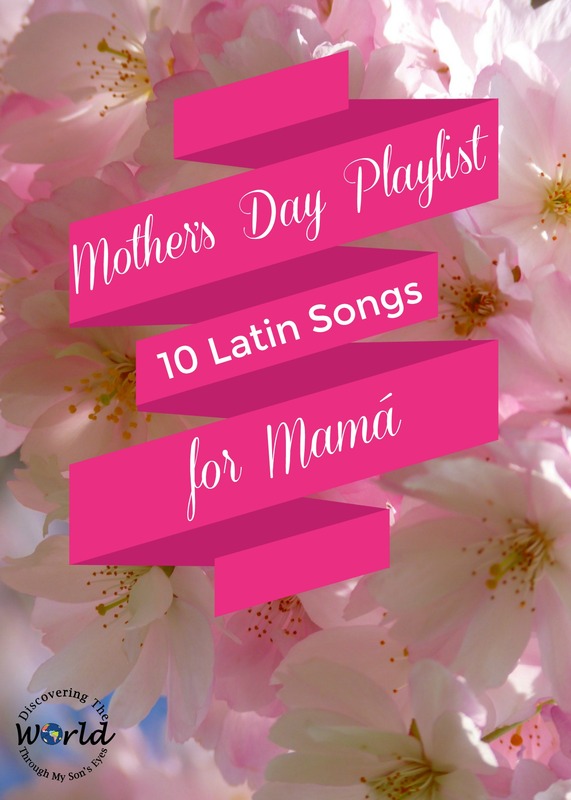 Who doesn’t love Juan Gabriel’s amazing vocals belting out that we only have one mother. Back in the day heartthrob José Luis Rodríguez expresses to his Mamá his love for her the only way he knows how by singing. Alejandra Guzmán dedicates this song to her daughter. It’s a love letter to her unborn, and this one seriously gave me goosebumps. I was in tears! Argentinian duo Pimpinela. Rocíos’s daughter Lucía, and Joaquín’s son Francisco join the duo to sing this beautiful song. It’s a love song that can go both ways: children to their parents or parents to their children. My baby still loves this song! It’s cute and catchy!